Times have changed. Progressive accounting firms are changing with it. The accounting profession has entered a new era. We call it Compliance 2.0. In the past Compliance 1.0 era, compliance was at the core of the client relationship. There were healthy margins in compliance work. It was difficult for clients to shop around. Compliance was enough for maintaining client loyalty. Not anymore. In the new Compliance 2.0 era, traditional compliance work is just a starting point. It must be done extremely efficiently or the margins are not there. Price competition on compliance is aggressive, with firms using lower-cost resources dotted around the globe. Compliance has been severely commoditised and 'productised'. Consumers can now shop around via the web and through social media. Increasingly referrals now happen online. Compliance highly automated with data feeds, artificial intelligence coding, etc. To survive and thrive in the modern Compliance 2.0 era a firm needs effective marketing and selling processes to educate clients about their non-compliance services. A strong online presence is essential. Effective social media use is now a pre-requisite. A strategy to position the firm uniquely is the foundation stone for effective online, social and traditional marketing. PARADOX specialises in precisely that: Modern Marketing for Accountants. PARADOX are world pioneers in social media for accountants, launching the Modern Marketing Academy (formerly the Clientshare Academy) in 2010. Our graduates include Xero Partners of the Year, Big 4 firms, large 2nd tier firms, 1 and 2 Partner firms, one-person start-up firms and a long list of Xero Gold Partners. They want to break out of the compliance box; to sell more value-add, future-focused, non-compliance services, and they want a Marketing Machine to help them achieve this as time-efficiently and cost-effectively as possible. Exactly what you need. As a member of PARADOX—through our Modern Marketing Academy or by subscribing to our Automatic Marketing services—you'll master what's called 'content-driven' educational marketing. You'll achieve great content on your website and blog. A website that attracts the quality clients you want and generates enquiries that convert. A social media presence that positions you as an authority and thought leader; and that consistently generates leads and enquiries. You'll regularly and efficiently publish high quality articles to your email subscribers. You'll use video and screencasts. You'll be up to date with the latest marketing technology and your firm will be perceived as a leader, not a follower. With members internationally, and some of the world's best marketed accounting and bookkeeping firms among our members, PARADOX helps firms achieve a stream of pre-educated enquiries from prospective clients and from within their existing clientbase. What they find is that when a person enquires—because they have come through the firm's Marketing Machine—they don't need "to be sold to"; they arrive ready to be advised. Ready... to buy. Here's how we achieve that for you. To accountants who ask me about PARADOX and The Academy, all I say is, JUST DO IT! This marketing is fun, fast to do, and it works. Last month we brought on 22 new clients. PARADOX gives us practical, easy-to-implement strategies and processes to follow. And they just work. The first 11 clients we applied the Clientshare Cross-Selling Process to, generated $59K in new fees. We can now communicate the value of what we do. It has made a big difference to our bottom line. We've learnt so much. It is so energising. If you're not part of The Academy, you're missing out. PARADOX marketing strategies helped us hit our $1m revenue target a full year ahead of our original business plan projections. PARADOX created our name, our logo, designed our website and wrote awesome content for our website. The Academy teaches practical techniques we can immediately use in social media and online. PARADOX shifted our mindset and introduced us to technology that is transforming our business. We learn so much from PARADOX around leading edge business thinking and technology. Cameron Patterson, Cameron Patterson & Co.
After just one month of outsourcing some of my marketing to PARADOX we are already seeing results. The hands-on learning approach is great. Takes your communication skills to the next level. Blogging and social media are must-do’s in today’s world. A great way to attract new clients. "Thanks! Such detailed, tailored, marketing tech advice. PARADOX is the only place we can get this." Learning marketing from PARADOX is like being plugged into The Matrix! We're constantly learning. All of it practical and instantly implementable. The Member Focus Sessions alone have been worth every cent of our PARADOX Membership subscription. Their strategic advice is intelligent and innovative. And technology-wise we’ve been exposed to apps and tools we never knew existed. It’s leading-edge advice, and different to anything else you’ll hear from other coaches and consultants. By far the best decision we have ever made. PARADOX's accounting industry-specific marketing expertise is unbeatable. Compared to PARADOX, other consultants are vague. PARADOX advice is specific. I’m loving The Academy. The ‘how to’ and ‘what to do’ is exactly what I needed. Before using PARADOX, we had been living in the technological dark ages, and didn't realise it! We now approach marketing with confidence and enthusiasm instead of dread and confusion. There’s always something new and it’s different from anything you’ll hear from other consultants. I'm learning marketing techniques that I never new existed. Social media is now great for us. Masterclass was the most engaging and stimulating seminar that I have ever attended. Go. The Masterclass taught us how to communicate our value proposition to clients and prospects. We will teach you and your team how to build a Marketing Machine—through our online Modern Marketing Academy program—or we can build one for you via our Automatic Marketing services or our Virtual Marketing Assistant (VMA) Service. The powerful mix of psychology combined with the latest marketing technology will educate (and excite!) your clients and prospective clients about your value-add services. 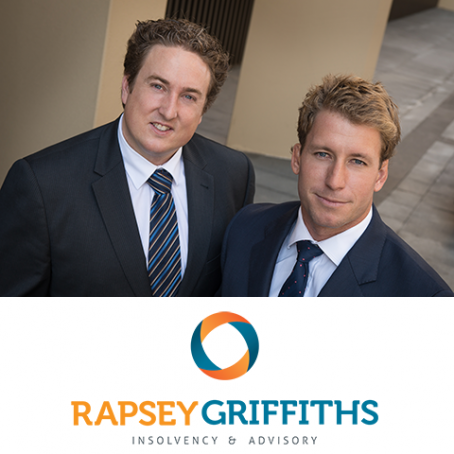 Like most accounting firms, Rapsey Griffiths wanted to stand out from the crowd. When Kirsten Hawke first discovered PARADOX she thought she was already quite marketing savvy. When Matt Treatt, CEO of Your Accounts Department, contacted PARADOX after a recommendation from his Xero Account Manager, he was ‘quite peeved’ about marketing. When Adele Wardley ventured out on her own to start her new firm, A Squared Advisers, one of her first steps was to school up on marketing. Shane McKenna’s Melbourne-based firm, Aintree Group, was already performing well when they contacted PARADOX. George Saab and David Cartwright of Sydney firm, Cartwright Brown, approached PARADOX at a point where they were jaded with advice from coaches and consultants. You have three options in working with us: (1) Learn how do modern marketing yourself by becoming a member of the Modern Marketing Academy; (2) Use our done-for-you marketing services, or (3) Use a combination of both approaches. Most firms choose the latter. That achieves the best short-term and long-term results. The Academy will get you up-to-speed with the latest in marketing for accounting and advisory firms. Members tell us The Academy content is the most practical and pragmatic advice they have ever received for growing their firm. Once you understand the principles, strategies and technologies behind modern marketing, you have a distinct advantage over other firms who are still—as one member put it—living in the dark ages. An award-winning entrepreneur, patent holder, product designer, copywriter, tech company founder, business consultant, marketing advisor, speaker and self-confessed ‘propellor head’, MC has worked in and consulted to the accounting profession across two decades. What lights MC’s fire is the psychology of influence and the technology of marketing. The combination of these, MC believes, creates the closest thing he’s seen to modern day alchemy. Ysabel is our chief makes-things-happen-like-clockwork team member. Coordinating our range of Automatic Marketing services as well as our Virtual Marketing Assistant (VMA) services for our members, Ysabel’s team helps accounting firms consistently pump out great content into their Marketing Machines. 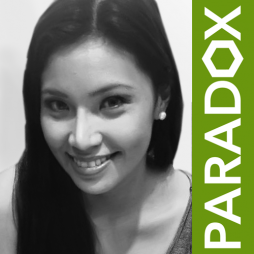 Ysabel coordinates a lot of PARADOX’s marketing activities too such as our webinars, social media and eNewsletter. Proud mother of young Liam, Ysabel is based in our Manilla office. Suzanne has a rare combination of in-depth knowledge in the Accounting industry and Marketing & Sales training expertise. Suzanne worked for one of the Big 4 Accounting firms for more than 15 years in the Corporate Finance practice as an advisor and partner in the firm, before starting her own companies which revolve around personal and professional effectiveness in the areas of marketing, sales, presentation and negotiation skills. She loves to challenge and help accounting firms to design successful business strategies and become true leaders of their clients. A creative thinker, enthusiastic, trainer and coach for professionals like accountants. Mark Vijverberg provides talent-development programs, since more then 20 years, to help people to create peak performance. In his career he has never met someone who didn’t enjoy learning and growing professionally and personally. As soon as people try to align who they are with what their mission is they will experience more energy, more fun and therefore more success in business. If you want to see updates specifically for PARADOX members, Click Here. If you want to see our general public updates, Click Here. In this series, I’m sharing with Accountants and Business Advisors a step-by-step process for improving the return on investment that an Accounting or CPA firm gets on their website. Hear from Richard Francis of Spotlight Reporting, and MC Carter of PARADOX in this special advisory session. Interested in growing your accounting firm? Join us for a spot of #FridayBeerstorming with Anna Simpson of #Accounting firm Account On Me from Auckland — discussion strategy, clarity and growing a young accounting firm. It’s exciting isn’t it. Your bright shiny new website has gone live. It looks great. You’re proud of it. And the leads start flowing in. Australia, New Zealand, United Kingdom, Netherlands, U.S.A.